We are your Atlanta auto accident attorneys. We listen to what makes your car accident case unique. We advise you when to take the best deal or when to keep fighting. Work on your entire financial situation all at once with our new service combo. We can help. Hire an experienced Atlanta car accident attorney now. You didn't ask to be injured in an auto accident. You didn't ask to have hospital bills to pay following the wreck in Atlanta. However, you can ask for a car accident lawyer that will tell you the truth about the value of your claim and fight for it. For those who were injured because of an auto accident that was not your fault, all parties injured need representation. Call our accident lawyer today for a free consultation at (770) 775-0938. See if you need an auto accident lawyer in Atlanta. Don't let a car accident change your life. Atlanta motor vehicle accidents need auto accident lawyers to make it right. Located in metro Atlanta but with the convenience of Decatur just a few miles from downtown. Do I need a Car Accident Attorney for my case? It depends. If you were not injured, then you probably do not need the help of a car accident lawyer. A lot of car accident victims think that they don’t need the services of a car accident lawyer. That's a big mistake. Atlanta motor vehicle accidents need auto accident lawyers to make it right. Contact an accident attorney today. Many think that their insurance company will take care of everything for them like they say in the commercials. Contact a car accident attorney today. Many do not realize that the chances of that happening is next to nothing. Insurance companies do not really care about their clients. They only pretend to do so. Insurance companies are only concerned about making profits. Contact an accident attorney today. They try to make profits by minimizing how much they pay to claimants as you can imagine and may find out. Call us at (770) 775-0938. See if you need an auto accident lawyer in Atlanta. Hire us as your Car Accident Attorney. So, you will only get what you deserve with legal help. We can help you force their hand to get them to pay you what you deserve and are entitled to under Georgia law. Contact a car accident attorney today. See if you need a car accident lawyer in Atlanta. Don't let a car accident change your life. Car Accident Attorney Atlanta - Atlanta motor vehicle accidents need auto accident lawyers to make it right. Hire us as your Atlanta Car Accident Law Firm. Tactics Used by Insurance Companies Insurance companies use the following tactics. They act friendly many times: Insurance companies might act friendly to you, ask you different questions and then use the answers to those questions against you when you don't have a car wreck lawyer on your side. They offer you quick money: Insurance companies can offer you quick money. But you’ll find out that the money that they are offering you is much less than what you deserve. If you take that quick money from them, you will lose a lot by not having an auto accident law firm working them. They delay you: Insurance companies will delay you for a long period of time before attending to your claims. By that time, you’ll be happy to accept anything that they offer you where a car accident attorney would just be warming up. They blame you: Insurance companies can blame you for the auto accident but a qualified accident lawyer can call their bluff where you can't. Contact a car accident attorney today. Car insurance companies usually arm themselves with a lot of car accident lawyers because they want to avoid paying you after a car accident. Most Georgians have no understanding of how these car insurance companies operate after a wreck. They have little understanding of legal procedures in accident cases, and so they often lose a lot of money to these car insurance companies after getting injured in an auto accident. It’s hard for you to get what you deserve without an car accident lawyer. But once you have an accident lawyer, you will get a better offer. Contact a car accident attorney today. See if you need an auto accident lawyer in Atlanta. Don't let a car accident change your life. Atlanta injury attorneys can help in many ways after a car accident. Hire us as your Atlanta Car Accident Attorneys. Call us today for a free case evaluation about your case at (770) 775-0938. How long do I have to get a personal injury lawyer after a car accident? Hire us as your Atlanta Car Accident Attorney. Call us as your motor vehicle accident lawyer today for a free consultation at (770) 775-0938. Don't wasted time after the car accident. The accident lawyers are made to help the powerful after a wreck with injuries. That's why you need an accident attorney to fight. Auto accidents require legal representation. Atlanta motor vehicle accidents need auto accident lawyers to make it right. How much do Atlanta Accident Attorneys charge for handling my case? You will not be charged unless and until we get a check from the insurance company. This means that you do not need to come to my office with a checkbook or credit card. We take your case on a contingency basis. We only get paid for our services when the insurance writes a check. Contact a car accident attorney today in Atlanta. Atlanta injury attorneys can help in many ways after a car accident. What if you lose your case in Atlanta? Will there be attorney's fees then? No. We will not charge you attorney's fees if you do not get a recovery because we don't think you should be charged money if you don't recover funds. This is extremely rare, by the way. In almost all auto accident cases where liability is determined, you get to recover your damages. See if you need an auto accident lawyer in Atlanta. Don't let a car accident change your life. We will settle your case or litigate your case at trial against the at fault or negligent party. Litigation is more and more rare but necessary. Our law firm will get you the settlement you are entitled to under the law. Hire us as your Car Accident Attorney. Atlanta motor vehicle accidents need auto accident lawyers to make it right. Contact a car accident attorney today. Call us today for a free personal injury case evaluation at (770) 775-0938. See if you need an auto accident lawyer in Atlanta. Hire us as your Accident Attorney. How much money do I get for pain and suffering from my auto accident case? The amount of money that you get in an accident depends on how your accident occurred and the injuries that you suffered from your accident. Hire us as your Atlanta Attorneys. We are here in Decatur, Georgia. Cost incurred from missing work or lost work opportunities following an automobile accident. Medical bills that were a direct result of the collision following car accidents. Price of medication that was prescribed following an automobile accident. Price of repairing your car, truck or motorcycle following auto accidents. Death damages if any of your loved ones died in the accident following a motor vehicle accident. Punitive damages in certain circumstances following automobile accidents. Contact an accident attorney today. Don't let a car accident change your life. Atlanta motor vehicle accidents need auto accident lawyers to make it right. You can also get additional money for emotional damage from the crash or if you get a disabled from the accident in Atlanta. Ask your motor vehicle accident attorney about this. (770) 775-0938 Contact a car accident attorney today. Hire us as your Atlanta Attorney. We are here in Decatur, Georgia. Atlanta Auto Accident Lawyer Question: What If I Have No Personal Injury? If you haven't suffered any injury, then you will not have a case for personal injury. You may still have a claim for the damage to your vehicle. These types of claims are separate. In order to get pain and suffering damages whether physical or emotional, you will need to have been injured because the law requires it. From basic soreness to more significant Atlanta injuries, damages are a requirement for this type of recover. Your injuries are what controls. Contact an Atlanta attorney today. (770) 775-0938 Hire us as your Atlanta Accident Attorney. See if you need an auto accident lawyer in Atlanta. So, if you don't have any physical injuries, then you may just be wasting your time. If you didn't go to the doctor or hospital and have no injuries, then reaching out to an injury attorney may waste everyone's time. Atlanta motor vehicle accidents need auto accident lawyers to make it right. We are here in Decatur, Georgia. What makes a my case a valid car accident case? Drunk driving accidents, texting accidents, rear-end accidents, head-on collisions, whiplash accidents, T-bone wrecks, accidents caused by distractions, negligence, following too closely, and not seeing what there is to be seen. Contact a car accident attorney today. We are here in Decatur, Georgia. If you've been hit by a hit and run driver, we can still help. We can see about finding additional insurance policies that may provide coverage after your crash. See if you need an auto accident lawyer in Atlanta. Don't let a car accident change your life. Atlanta motor vehicle accidents need auto accident lawyers to make it right. We are here in Decatur, Georgia. Call us today for a free case evaluation at (770) 775-0938. See if you have a case and see if it's a great one. Should I Get a Car Accident Lawyer If It Wasn't My Fault? when to get an attorney? Atlanta Car Accident Claim: Statute of Limitations - How Long To File Your Claim? Georgia state laws have statute of limitations for car accidents and missing it will cost you your claim. If your claim is filed after the statute of limitations has expired, your case is over regardless of the seriousness of the injuries you sustained here in Atlanta or in any Georgia city. Contact an Atlanta car accident lawyer today. Call your Atlanta auto accident attorney. Atlanta motor vehicle accidents need auto accident lawyers to make it right. We are here in Decatur, Georgia. 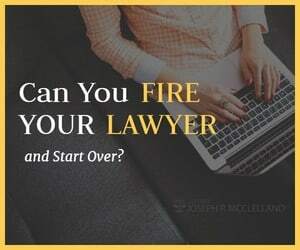 Generally, you have 2 years to file a law suit or to have fully settled your case, but you may just have a few months for your lawyer to file depending on who hit you. For example, counties, cities and states have different time limits for your lawyer to file. To avoid any statute of limitations issues, you need to call us as your car accident attorney ASAP if your accident was serious. Often, the best ideas is to reach out immediately after any car crash. Call us at (770) 775-0938. Contact an Atlanta car accident lawyer today. Hire us as your Atlanta Accident Attorney in Decatur, Georgia. Contact an Atlanta attorney today. Atlanta injury attorneys can help in many ways after a car accident. Do We Always Have to Go to Court in Atlanta after an Atlanta Car Accident? No. We don't always go to court after a car accident in Atlanta or Decatur. Almost all our car accident cases are resolved without going to court against the defendant for negligence at all. For cases where the auto insurance company does not want to negotiate, you can decide if you want to file an auto accident lawsuit against the defendant in local courts or not. We will tell you about the chances of you succeeding, and we know car accident lawyers that will help you handle your case. Contact an Atlanta car accident lawyer today. Call your Atlanta auto accident attorney to make sure you have representation. As the client, we listen about how far to take your personal injury case and when to settle your Atlanta accident claim. Car accidents cause personal injuries. Personal injures cause accident hospital bills. Atlanta attorneys can help after wrecks. Personal injury firms can help after car accidents. Georgia accident lawyers help you, too. Get a consultation with car wreck personal injury lawyers when you are hurt. Don't waste time without car wreck representation when you need it. Atlanta motor vehicle accidents need auto accident lawyers to make it right. We’ll first carry out investigations and find out the cause of the car crash and determine the extent of your personal injuries. Contact an accident attorney today. Don't let a car accident change your life. We’ll help you build and collect all evidence needed in your car accident lawsuit such as the police report, statement by witnesses and medical opinions of experts in order to prove liability and damages under Georgia law. Then, we carry our car accident case to the insurance company to start negotiating a settlement to your injury claim. Contact an Atlanta car accident lawyer today. Personal injury lawyers help. You can contact us online by using one of the contact forms on this page about your car crash. Call your Atlanta auto accident attorney. Car accidents cause personal injuries. Personal injures cause accident hospital bills. Atlanta attorneys can help after wrecks. Personal injury firms can help after car accidents. Georgia accident lawyers help you, too. Get a consultation with car wreck personal injury lawyers when you are hurt. Don't waste time without car wreck representation when you need it. We have experience handling car accidents in Atlanta. Other practice areas include serious car accidents, motorcycle accidents, truck accidents, wrongful death accidents, bus accidents, and pedestrian accidents. Call us at (770) 775-0938. Contact an Atlanta car accident lawyer today. Pay attention to our blog. We talk about texting, medical bills, hospital bills, reviewing reports, collisions, police reports, transportation issues, legal abuse, car claims, T bone or T-bone accidents, legal knowledge of others, help with the process, during the process, investigation, across locations such as Savannah, Columbus, support, lawsuits, professional, the other driver, involved, road, property, reserved, talking, slip and falls, wages, losses, win, depending, accident scene, back injury, best, wreck, determine, initial consultation, statute, see our reviews, road conditions, common law, my case, car accidents, cost of a lawyer, recommend seek medical, case evaluation, please, rights, compensation, wrongful death, media, questions, money,witnesses, family, results, liability, drunk drivers, multiple accidents, fees, and more. We don't have scholarships, so no scholarships. Call us today for a free case consultation at (404) 381-8584. What to Do When I Get Hurt in a Car Wreck? Car accidents happen every day. Unfortunately, some of these accidents cause serious injuries and even deaths of victims. If you have been injured in an accident, you may wonder if you should designate a representative to go after the person responsible for your injuries or not. There are many benefits to hiring a lawyer with experience in damages. These attorneys who have extensive experience in handling your claim are better at maintaining a complex court system and providing compensation. Below are some methods that help you hire an experienced lawyer. Call us at (770) 775-0938. Contact an Atlanta car accident lawyer today. Most people do not know the secrets of the law regarding injuries. The lawyer with experience provide you with legal advice on important matters related to your claim at each stage of your case. Whenever you have any questions or concerns, your lawyer can answer these questions and advise you on the legal aspects of the claim. Most lawyers will not do anything illegal or immoral, because such behavior can highlight serious sanctions, including loss of license and imprisonment. Don't let a car accident change your life. Call your Atlanta auto accident attorney. Even before dealing with most of the damages, you can take a step in the courtroom, sometimes before filing a lawsuit. These conversations are not such that you can easily get a larger check to cover physical and emotional problems. Although a lawyer can do it very easily. Your lawyer will help you decide if the agreement is sufficient or not, how you can increase the offer. It depends on your situation and evidence. Comprehensive understanding of the law on personal injuries. This problem may seem very clear, but many people think that when it comes to collecting a settlement, lawyers are not useful. However, this is not true. Being hurt does not mean that you will receive full compensation for the loss. Many insurance companies do not pay attention to negligence, even though you can get compensation for negligence. In addition, a lawyer can help you determine to what extent you are entitled to compensation. There are many possible claims that you have not thought about and until you have them look. Details of the insurance law. This point may seem trivial, but it is an aspect that can change the tables for your case. For example, your insurance policy may give you $25,000 in benefits for your injury. The adjusted insurance says you will get the full amount because you have solid claims for personal injuries. However, the problem that the insurer does not inform you is the fact that you can get more money from the state. For example, some states offer a lot of insurance, in which case you can get more compensation for your injuries. Understand the estimated value of personal injuries. An experienced lawyer will be able to estimate what damage are, what the value is. In addition, the lawyer has information on what factors can reduce or increase the amount of compensation. The lawyer's experience will work for your benefit and no insurer can cheat you when you have a trusted person. Being an experienced attorney who can represent you, you can provide adequate compensation. This is due to the fact that experienced lawyers have already represented many cases and know the estimated compensation for several accidents. The lawyer also knows facts or examples that can increase the value of the compensation. In addition, you can offer other benefits related to hiring a lawyer to deal with the damages. For example, you do not have to worry about legal documents or other complicated legal issues. When he rests and stays at home after an accident, a lawyer does all this. They can help you get the right compensation. If you have suffered serious injuries, a qualified attorney can help you obtain the compensation you need and is entitled to the person, company or government agency responsible for the damage. It is. The lawyer will work hard to evaluate and prepare your case and win the biggest prize or agreement of the jury. Most injury lawyers work for no fees until recovery. This means that as long as you do not pay them until the payment. They can make your life easier. Contact an Atlanta car accident attorney today. A lawyer can sue for negligent deaths, can be held liable for the party's loss of emotional pain, consortium and financial loss. Atlanta car accidents happen. Take action. At the end of the day, all lawyers want to find solutions to the client's problems. Even a lawyer acting against you wants to find a solution that puts an end to the conflict between your client. In many cases, they will talk to the lawyer and work with you to use both sides. Contact an Atlanta car accident lawyer today. Don't let a car accident change your life.